Osmia Organics knows the importance of a full night's rest, and so formulated their Night Body Oil to help ease you into a a sense of rejuvenating deep sleep. A blend of lavender, chamomile and cedar induce feelings of relaxation and soothing, perfect for layering on the skin beautifully after a nighttime shower or bath. This unique body oil makes skin feel hydrated, while lending a soothing quality to the mind. Perfect for a late night indulgence after a long stressful day. Apply the essential oil blend to clean, wet skin. For a feeling of ultimate hydration apply immediately after showering. Night Body Oil blends with damp skin to provide an ultra moisturized feel. This is not hydrating for me at all and my body skin is dry/normal. There are other body oils that work great for me but this one just does not give any hydration. The smell is ok, nothing special. Kind of a minty lavender. This is my all-time favorite body oil! The scent is a dream and it helps me fall asleep! This oil is such a lovely addition to my night time routine. My skin loves it, sure. However, so does my soul. The smell is lovely, but not too strong. The oil sinks right into my skin and I wake up refreshed. Then, when a friend told me that her husband's skin was having some issues, I suggested an Osmia oil. She got a different Osmia oil and has reported that her husband loves it! Don't be scared to pour this all over your body! 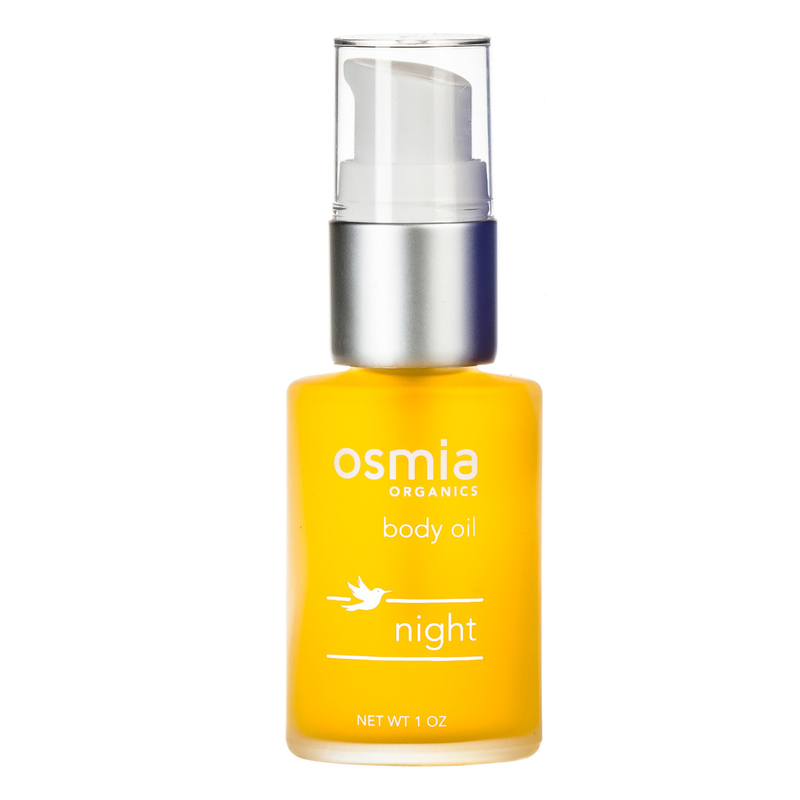 Osmia Night Body Oil is not only a true relaxation experience in a bottle, but it's packed full of long lasting moisture that won't stain your sheets! I love this before bed..